I've experienced something new out here; BLM land. It's not new to anyone who's from the west or who's lived here before, but coming from the north east, this was a new experience for me. The Bureau of Land Management has millions of acres of land under their care, and much of it is open to public use. At many of the very remote desert exits on the interstates there is a cattle gate at the top of the ramp. 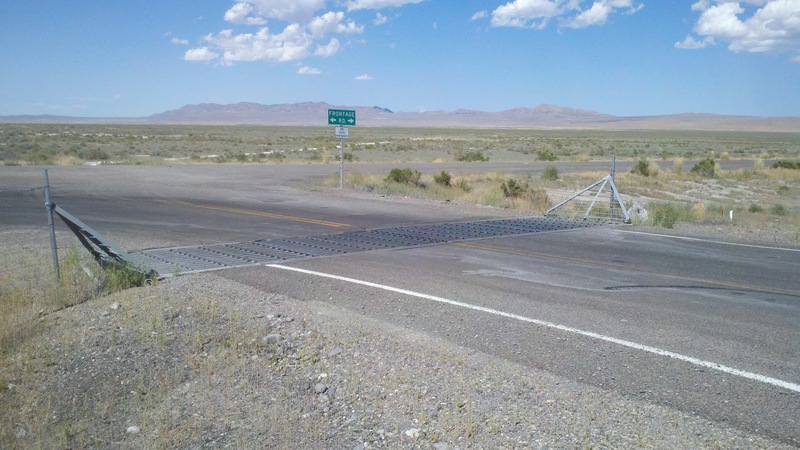 Once you cross over this you're on BLM land and under the rules which apply to that land. It's a little difficult sorting out all the details of those rules (something I will have to do if I ever have the opportunity to spend more time out here), but the thing which attracts me is the road network. 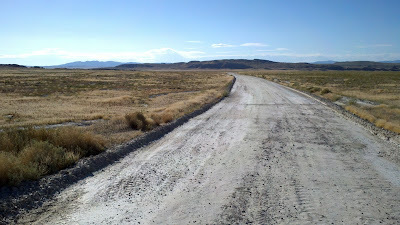 There are little dirt roads that lead all over the place out here. They aren't even particularly difficult roads to drive, in many cases. I've been driving them in a crossover/SUV for the most part, and having little trouble. There are of course more difficult roads and knowing which you are headed for is probably a good idea. For camping there are rules of course but they seem to be quite reasonable (I have to finish researching these and figuring out what they all are, however). Another thing which must be investigated before planning a trip out here such as when and how you can burn (I'm thinking a camp stove in the truck is probably a good idea regardless to avoid fire risks). For one who's into rallying, overlanding and offroad camping BLM land is almost the definition of heaven. Just watch out for the rather dangerous indigenous wildlife. I have to admit to the temptation to do an overland rally trip through the region. Not an overlanding truck perse, but more of an overland rally car (all wheel drive, taller stance but designed for performance driving while still carrying a bit of a load) and then using hotels for night accommodations. It would have all the benefits of overlanding and rallying (albeit at lower speeds) but wouldn't require setting up a tent and camping amongst the black widows, scorpions and rattle snakes. What an amazing thing, BLM land. I could get used to it.